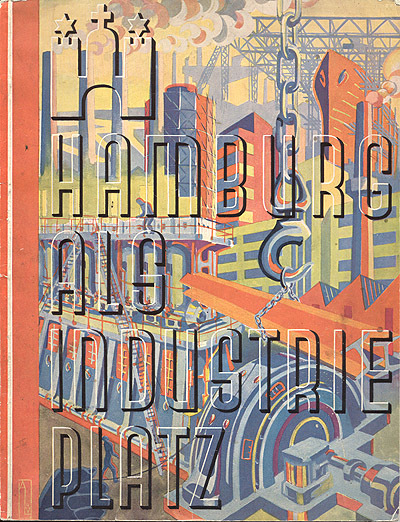 Book cover "Hamburg als Industrie Platz" (Hamburg as an Industry Center), 1930. Published by Der Handelskammer Hamburg (the Chamber of Commerce Hamburg). Designed by Anna Lünemann, Hamburg. Printed by H.P. Persiehl, Hamburg.